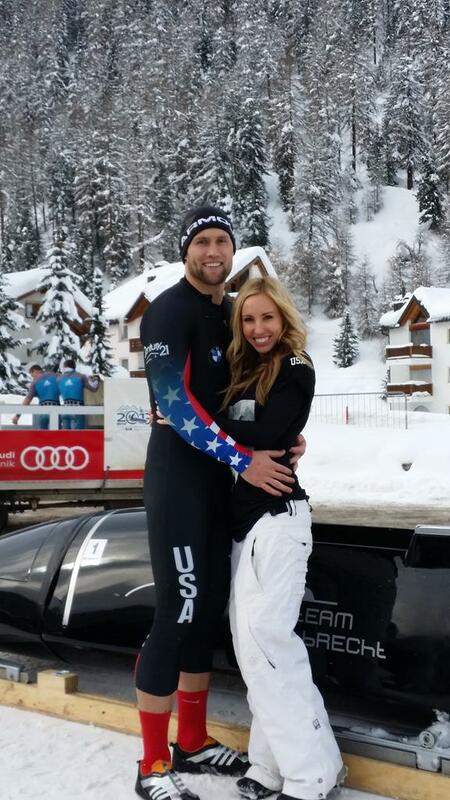 ST. GEORGE – Adding another chapter to an already extensive and noteworthy athletic career, former Dixie Rebels player Dallas Irvin, 26, is on track to compete at the 2018 Winter Olympics in the sport of bobsled. Irvin excelled at football, basketball and track and was named “Male Athlete of the Year” and All-State in 2004-05 while attending Dixie High School. 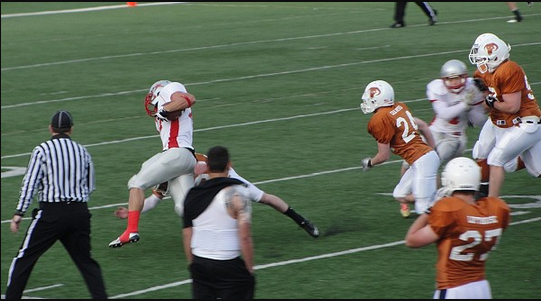 In college, the 6-foot-2-inch, 215-pound running back helped carry the Red Storm to victory at the 2005 Dixie Rotary Bowl. Irvin played for the semi-pro football team based in St. George, the Dixie Rebels, in the 2011 season, setting rushing and scoring records. The team was undefeated and won the Rocky Mountain Football League Championship. Irvin also started a family that year, marrying his wife, Angelee, and becoming a stepfather to her three children. They have been his “rock” of support though his whirlwind career change, he said. Irvin’s introduction to bobsled in the winter of 2012 happened purely by chance. While in Salt Lake City intending to try out for the professional arena football team Utah Blaze, a friend suggested that his size and speed were well-suited for bobsledding. Driver Jay Noller was looking for a new push athlete for his team, and Irvin decided to give it a go. He was addicted his first run, he said. 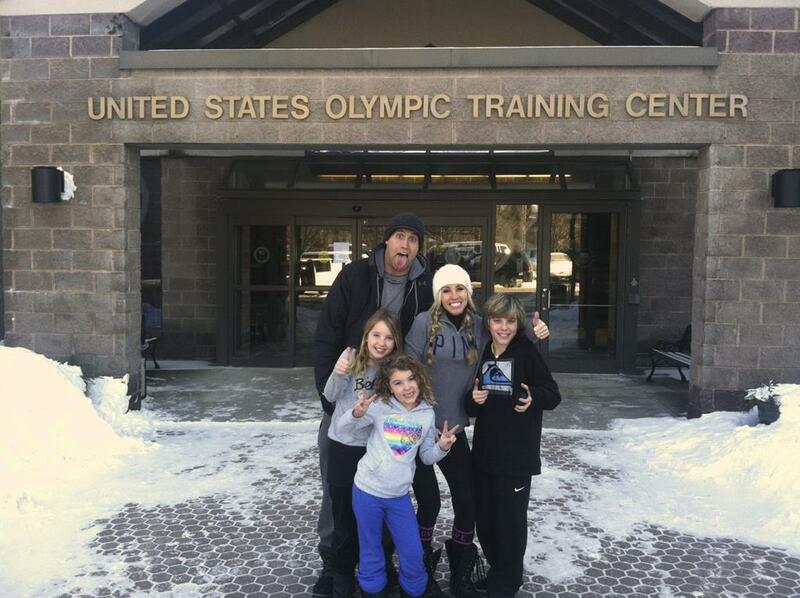 Offered a spot on Team USA, Irvin knew that if he accepted, he would have to move closer to the Utah Olympic Park training facility in Park City. With his family’s encouragement, they made the commitment and three days later, left St. George for Salt Lake City. In just a week, he was training for his first competition, part of the North American Cup circuit at the Canada Olympic Park in Calgary, Alberta. At their most recent event on the Europa Cup circuit, held in January at tracks in Switzerland and Austria, Team USA raced against over 60 competitors from around the world, many of whom are now at the 2014 Winter Olympics. With driver Codie Bascue, Irvin pushed the two-man sled to a 16th place finish. The four-man team of Irvin, Bascue, Kevin Ives and Michael McCarty took 19th overall. Though he didn’t qualify for Sochi, Irvin has set his sights on representing Team USA at the 2018 Winter Olympics in Pyeongchang, South Korea. That will mean even more hard work, and many sacrifices for both him and his family. Training doesn’t stop in the off-season. He strives to stay in peak physical condition – less than 6 percent body fat – through speed training at the Utah Olympic Park and daily gym workouts with emphasis on leg strengthening, cardio and stretching. A highly restrictive diet is one of the most difficult aspects of his routine, he said. Through the challenges, both mental and physical, and growing pressure, Irvin’s love for the sport keeps him dedicated. Unlike most professional athletes, Olympic hopefuls don’t earn salaries, and opportunities for a stipend from the U.S. Olympic Committee are few and far between. Training, equipment, travel, insurance and other expenses associated with their sport, often costing more than $100,000 per year, must be paid for by family, friends or sponsors. With a full-time job but no income to show for it, many talented athletes are never able to realize their dream of competing on the world stage. Bobsleds roar down a winding, nearly one-mile-long track of pure ice in less than a minute, often exceeding 85 miles per hour. Focus is key in a sport measured by hundredths of seconds; the slightest of miscalculations can doom a run. Two-man teams consist of the pilot, who controls the sled’s trajectory with miniscule steering adjustments, and the brakeman, who generates most of the starting speed, adds weight to the sled and brings it to a stop once they cross the finish line. Four-man teams have two extra crewmen who help push and weigh down the sled. 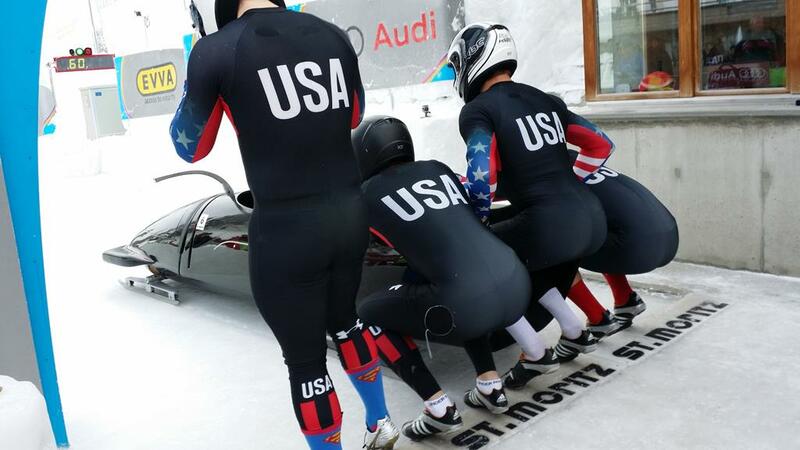 The ideal bobsled athlete is as powerful as he is fast, able to accelerate a vehicle weighing more than 400 pounds off the starting blocks and on a winning course in five crucial seconds. Many are former football or track competitors, including most of the U.S. team at Sochi. The four-man bobsled competition at the 2014 Winter Olympics will be broadcast this weekend on the NBC networks. Click here for details. Wow, this great news. I new that Dallas would make it with his great athletic skills. Never expected him to be a bobsled pusher, but this now gives ” local company’s” a great opportunity to support a great local athlete. Knowing Dallas and family personally, He is a great young man that has volunteered his time at DSC, played for the Dixie Rebels semi pro football team (they get paid nothing) and with his marriage to Angelee he is now a great dad and role model to three young girls.